Nothing is better than waking up on Christmas morning only to be overjoyed upon discovering the bounty inside of one's stocking! Not to mention spending time with those you love, and sharing the day with your dog. This little French Bulldog is completely irresistible, adaptable, playful, smart and loving, and will never let you out of his sight. 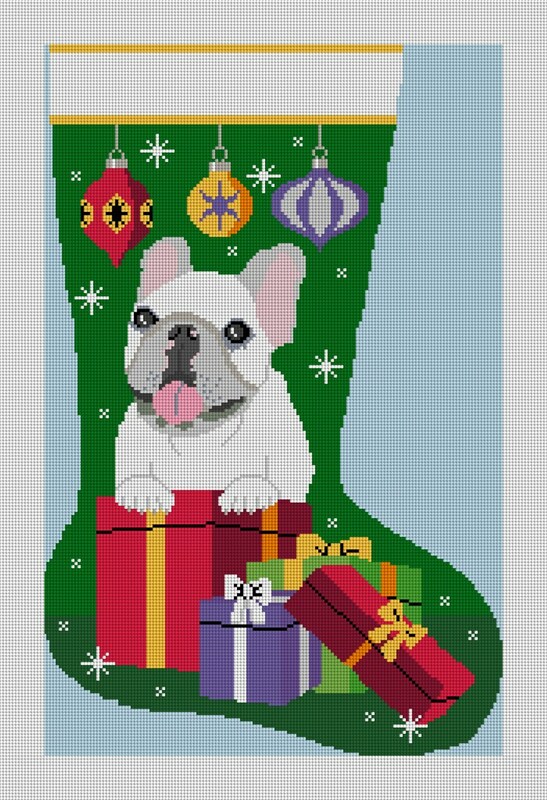 Stitch this playful stocking for the dog lover in your family, or even better for your best friend . . . your French Bulldog.